Yeast Consulting Services- BIOGRAPHY information on Marjorie Crandall, Ph.D.
Marjorie Crandall, Ph.D., is an independent consultant and medical researcher in the area of yeast infections. Dr. Crandall earned her doctoral degree in microbiology at Indiana University, in Bloomington, Indiana, in 1968. Her predoctoral and postdoctoral studies in microbial genetics were supported by several National Institutes of Health fellowships at Indiana University, and an exchange postdoctoral fellowship from the Centre National de la Recherche Scientifique, in Paris, France. From 1980-1988, Dr. Crandall was a UCLA research faculty member, at the Associate Professor level, in the Division of Infectious Diseases, at Harbor-UCLA Medical Center, in Torrance, California. There she received many prestigious awards including a National Science Foundation Visiting Professorship for Women in Science and Engineering, and a Senior Fellowship from the National Institute of Allergy and Infectious Diseases. While at Harbor-UCLA Medical Center, Dr. Crandall developed a diagnostic test for Candida vaginitis, which measures Candida proteinase antigen in vaginal fluid, in cooperation with Diagnostic Products Corporation, in Los Angeles. As part of her academic service activities at Harbor-UCLA Medical Center, Dr. Crandall was Chair of the Biohazards and Environmental Safety Committee and she revised the safety guidelines for AIDS research. The author of 38 publications, Dr. Crandall has presented many abstracts and invited lectures on her academic yeast research including Grand Rounds in Infectious Diseases and Obstetrics & Gynecology, at Harbor-UCLA Medical Center, and scientific conferences in the United States, Canada, England, France, and Japan. Dr. Crandall has 31 years of hands-on experience doing laboratory research, and has taught Microbiology and Immunology at Indiana University, Brooklyn College, and the University of Kentucky, and a graduate seminar at the UCLA School of Medicine. In 1988, Dr. Crandall founded Yeast Consulting Services, in Torrance, California. She specializes in counseling Candida patients on how to overcome yeast infections. She is also a consultant to physicians, attorneys, insurance companies, publishers, and pharmaceutical, diagnostic, and manufacturing firms. Her unique insight into the causes and cures of recurrent yeast vaginitis and chronic intestinal candidiasis is based on her own personal experience with these illnesses as well as her extensive laboratory, clinical, and library research in the area of yeast infections. Also in 1988, Dr. Crandall presented an invited lecture at the Candida Update Conference sponsored by William G. Crook, M.D., author of THE YEAST CONNECTION. She has also given many invited talks to medical societies and patient support groups. Dr. Crandall’s research findings in the area of yeast infections were featured in many media interviews including TV news programs on KCBS and KNBC, articles published by Parade Magazine, United Press International (in the San Francisco Chronicle), and the Los Angeles Times, and a chapter in THE DOCTORS BOOK OF HOME REMEDIES. She is also cited as a resource in many other health trade books and Web sites. In response to the large number of phone calls and letters from Candida patients who saw these interviews, Dr. Crandall expanded her one-page lecture handout into a nine-page booklet on “How To Prevent Yeast Infections” which she self-published in 1989. She kept adding information until her patient education materials grew into a 170-page Candida Information Packet. 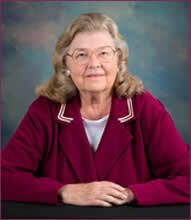 In 1996, Dr. Crandall launched her Web site, www.yeastconsulting.com, where she sells her packet. Information in her packet will eventually be published as a trade book entitled OVERCOMING YEAST INFECTIONS: A TEN STEP PROGRAM OF SELF-HELP AND MEDICAL CARE. Dr. Crandall has received two contract offers from publishers and has a literary agent who is representing her book project. Dr. Crandall’s professional memberships and journal subscriptions include the American Society for Microbiology (ASM News), International Society for Human and Animal Mycology (Medical Mycology), Medical Mycological Society of the Americas (MMSA online newsletter), online mailing list for researchers (candidanews), Thomson Scientific (Current Contents Life Sciences), Authors Guild, California Lawyers for the Arts, Southwest Manuscripters, and Independent Writers of Southern California. Copyright, 1996 to 2018, Marjorie Crandall, Ph.D.